To harvest the scorpion’s venom, the dead insects are first dried and then ground into a powder. The powdered carcasses can then be mixed with tobacco or hashish or smoked as a standalone drug. Users of this macabre narcotic report experiencing powerful hallucinogenic effects that last several hours. Doctors in Pakistan, naturally, are warning citizens not to smoke or ingest scorpion venom, as it could have many harmful side effects such as memory loss, insomnia, or even eating disorders. To make this habit even more dangerous, some 25 species of scorpions produce venom that can be fatal to humans. The use of scorpion venom as a narcotic is somewhat common throughout India and Southeast Asia. In India, some users skip the drying and smoking process and allow live scorpions to administer their venom directly by stinging. 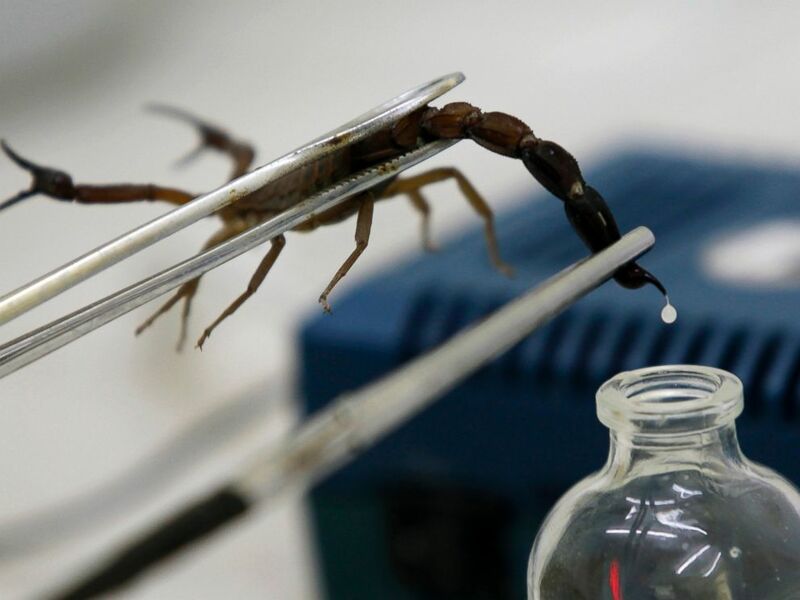 While some individuals might find recreational uses for the venom, others in the medical fields are concerned that widespread use might limit the supply of scorpion venom which could otherwise be used in medical treatments. So far, scorpion venom has been found to have antimicrobial and anticancer effects, be effective as an insecticide, and useful as a potassium channel blocker for cardiac arrest treatment. While smoking the powdered corpses of scorpions might seem ghoulish, just consider that just a few hundred years ago Europeans were smoking powdered human mummies. When it comes to tuning in and dropping out, it seems very little is sacred. Feces Up Your Nose? It’s a Good Thing!